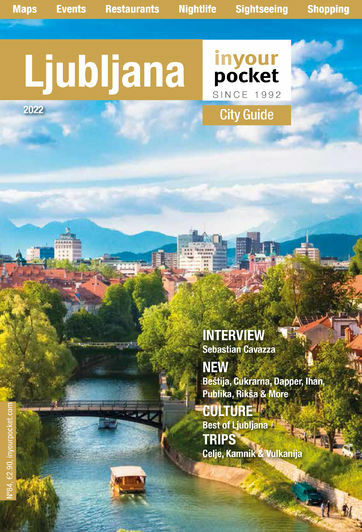 Vesna Nisha Dolinar is the president of the Slovenian International Ladies Association (SILA) and the owner of Ljubljana's Indian restaurant Namasté, we recently asked to tell us a bit about SILA and the organisation's annual bazaar. SILA stands for Slovene International Ladies Association, and was founded in 1993. It is a non-governmental, non-religious and non-profit organization with the number of members varying from 120 to 150. The ladies come from over 30 countries around the world: spouses of diplomatic and business representatives, business women of all ages, or any foreign ladies living temporarily or permanently in Slovenia. Our members of course include Slovene ladies as well. Are most of your members in Slovenia permanently, or only on a temporary basis? Most of our members are in Slovenia on a temporary basis, since they are wives of diplomats in Slovenia, trade representatives, etc. SILA does maintain a 30% membership of Slovenian ladies, so that there is some continuity. How has the organization changed since it was founded? The organization has grown greatly in the past 20 years, and now we have about 120 active members. We have s monthly meeting where we discuss important issues, host guest speakers or work on projects like the annual SILA Bazaar. language courses in Slovene, German and Italianbook clubs in English and Frenchsport activities like tennis, golf, Pilates and skiingwalking, hiking and bikingfood tasting in the ‘wooden spoon’ club (cooking) and the ‘Lunch Brunch’ club (visiting restaurants)music cornerCan you tell us a bit about the annual SILA Bazaar? SILA hosts an annual Bazaar, the first one in 1993 in the TR3 building on Trg Republike. At that time there were only a dozen stands selling items from their home countries. Over the years the Bazaar has grown and this year on our 20th anniversary, we are hosting about 40 countries. In 20 years we have donated more than a million Euros to various Slovenian organizations and individuals. The venue also changed to the much larger Gospodarsko Razstavisce (Ljubljana Exhibition Centre), as we get about 6500 visitors in one day and last year we raised over €88,000, which was donated to various causes. At the bazaar we also host an Art Corner, where we sell various paintings and art items. Last year we started with a Clothes Corner, which was a big hit, so we are continuing with this year. Also, one of the the most popular parts of the Bazaar is the Lucky Draw, where each and every ticket is a winning draw. What are some of the charities that SILA has supported? How are they chosen? Every year SILA collects applications for funds up to the month of May, after which the SILA Bazaar Board goes through them, and divides SILA members into groups to check out the projects. The project manager has to write an evaluation and at the end the Country Representatives vote on the projects that are going to be supported that year. The most important part is that we never give funds to the charity itself, instead we gather three different offers and pay the best one, which delivers the goods to the applicant chosen to receive our funds. This is the way to assure that the funds go into the right hands and that our applicants receive what they need. What events and projects does SILA organize other than the annual Bazaar? This year we organized for the first time a summer event called Magical India (India due to the fact that I as president of SILA this year am of Indian origin) on Mestni trg. It was a very successful event and the mayor, Mr Jankovic will be happy to host us again next year. What are some of the more popular trips and tourist activities among your members? Most popular activity is the 'wooden spoon', where ladies learn about different cuisines. The book club is also very popular. We have started also started with an activity called Creative SILA, where our members put arts and crafts to work. In the last few years our members were also busy with publishing cookbooks. The first one called Cooking with SILA, the second Flavors of the World, and the third one Flavors of India are also sold at the Bazaar with the proceeds going to charity. Anyone who is a foreign national or of foreign origin can sign up with SILA. Our only prerequisite is that you are a woman :))).